We are committed to Going the Extra Mile with in ensuring our clients make excellent, well informed decisions according to what is best for them. It's our sincere relational and no pressure approach along with our higher standards of business practice that keep bringing our clients back over and over! Receiving referrals from of our fans is such an incredible privelidge. We are so greatful for the countless referrals we've received over the past 20+ years. THANK YOU! My experience with RealPros went very well. My associate and his assistants were a big help whenever I needed them. I felt a bit confused as to how property taxes would be handled, but that had a lot to do with different stories from the lawyer and the bank people. The Real Estate team always responded to me very quickly when I required some clarification. The emails of properties that matched my search criteria were great. They had one or two bits of information that the MLS site did not have. I was also very content with the price I paid. It was an incredible ride! It was an incredible ride! It would not have been nearly enjoyable if it weren’t for the RealPros people!!! You people took all of my worry away with your extensive knowledge of the whole process and what is best! Thank you for always keeping me informed of all the goings on, both with the purchase of my new home and the sale of old. Thank you and God Bless you for guiding my stress through this process! Keith Braun`s experience and integrity gained our trust and we pretty well took his advice all the thru our buying experience and selling experience. I have to say that the whole time was considerably less stressful than I thought it would be, and ran a lot smoother than I anticipated. I gather this was because of REALPROS experience in the industry. We also found out that RealPros is highly respected in the business world.....whether with home inspectors, financial institutions or lawyers...all commented on how high they set the bar for others to follow. We would recommend them to anyone that is planning on selling or buying a home. It`s been thirty years since I`ve been in the real estate market so the prospect of buying and selling a home was extremely daunting. Keith`s knowledge and experience made both of these transactions painless. Both Keith and Anne were very supportive and there to lead me through every step of the way. They both went above and beyond to help out wherever needed. Their enthusiasm and professionalism were beyond compare. I thoroughly enjoyed working with Keith and Anne and will no doubt recommend their services to anyone who is looking to buy or sell a home. Thank you again and I look forward to keeping in touch. Keith Braun is an awesome Realtor, by far the best we have ever dealt with, and we’ve bought and sold several homes in our lifetime. He possesses integrity and doesn’t try to push his clients into anything. Also, he shows immense patience. Never did we feel any pressure or annoyance form him no matter what questions we asked, how many times we wanted to return to see a property, of how much we vacillated. He is very knowledgeable, as well as experienced, and takes the time to educate his clients, whether they are buyers or sellers, so that they can make informed decisions and choices. 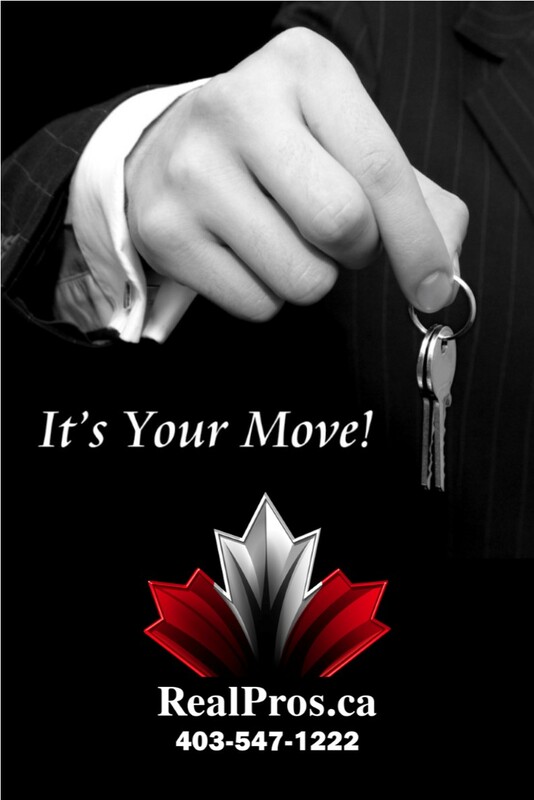 He keeps on top of the Real Estate market, does his homework, and therefore can advise you credibly. However, in saying that, he still allows you to make your own decisions and is not arrogant or pushy about what he thinks, even though he probably knows better. He listens and really cares about the client’s wants and needs and looks out for their best interests. He was more interested in finding a house we’d love and that met our needs rather than just making a quick sale. He gives his input, but doesn’t push his opinion nor give it if not asked. He is excellent whether he represents you as the buyer or the seller. He will negotiate the best deal with you. His staff is as personable, friendly and accommodating as he is. She was great about returning calls promptly and setting up appointments. We would absolutely and unreservedly recommend him highly to anyone who needs a Realtor, whether to buy or sell a home. By my recollection the sale of our house this November was the fifth real estate transaction you have helped us with in the last 4 years, 3 sales and 2 purchases. When I started flipping houses I was looking for a real estate agent I could trust to provide an accurate assessment of the current and upside value of a house, as well as help identify a house for potential renovations. Keith, you have done that. We have looked at many, many houses and the two I purchased you brought to my attention as good value, and with the appropriate renovations, good upside potential. Two of the three sales were in more normal markets, were sold quickly and at good prices. Exactly what was needed for revenue property. The third and last sale was in the significant market down turn in late 2015. Very few houses were selling at our price range and many houses were sitting on the market for months. Through on-going discussions with Keith we realized we had to get aggressive with the price if we wanted to sell. Our house sold and many houses we were competing with were still sitting on the market several months later. It was through honest and regular discussions with Keith that we were able to make the tough, but correct decision that helped sell this revenue property. And then there is Anne. She makes it all go very smoothly. She sets up the viewings, chases realtors for feedback on showings, provides the lawyers with all the documents they need to complete the purchase or sale, and much more. She does it all seamless, and more importantly Anne is a pleasure to deal with. Keith and Anne have always gone out of their way to help with everything possible in buying and selling our houses. And they continue to do so as they help us look for our next house. Tim was very helpful and informative. We appreciate his time and all his prayers for and with us. Your office staff is second to none! They are all very nice and always pleasant! A positive experience! Thank you! In November 2015 my sister, Cheryl, and I were in need of a realtor to sell our Mom's house. Cheryl had used Keith Braun at RealPros before to successfully sell her condo and was very pleased with the results. We decided to contact Keith and once again we were not disappointed. The team at RealPros did an outstanding job in marketing the property, getting a fair price and keeping us well informed during the selling process. Any questions or concerns we had were addressed quickly and effectively. We were also very impressed with the fact that a portion of his selling commission was donated to a charitable organization. Would we recommend or use RealPros again? Most definitely! We were very impressed with the service provided by RealPros. Tim was superb: • Had our best interest in mind • Prayed with us throughout the process • Explained things thoroughly • Brought us a housewarming gift/thank you gift • Was very friendly We also like that 10% was donated to one of 5 organizations that help fight human trafficking. We like the team aspect of RealPros; when Tim wasn’t available we knew a teammate could help us out! We would definitely use RealPros again and recommend it to others! Proud New Home Owners & Parents!! We can`t thank Keith, Anne, Pamela and the whole team at RealPros enough. We were overwhelmed and nervous first time home buyers and we ended up buying the perfect home for us. We never felt pressured or forced into liking a home we walked through (and we walked through plenty!) Keith gave us the space we needed to decide what we wanted in our home. Once we did find the right place we had no idea what to expect, the RealPros office guided us from one step to the next, we were never left wondering what we were supposed to do next. Even if they didn`t know the specific answer to a question, they showed us where to find the information. We were particularly impressed by the fact that they donate a portion of the commission to one of five very important organizations. Not only are they making a difference with the money they send, but they are raising awareness for the social justice issues that affect our world daily. I commend them for their efforts to address issues such as human trafficking, slavery and exploitation. Throughout the entire process they were both supportive and professional. I have no hesitation in recommending RealPros to everyone I know! Real Pros are quite simply the best at what they do. We were first time home buyers, and didn't know much about the process of buying a home. Before going with Real Pros we were feeling overwhelmed in trying to find the perfect home, within our price range, and in the time frame we needed it for. Real Pros really do go the extra mile in every way possible. We were able to find the perfect home, at the right price, and the whole process was handled flawlessly by every talented member of the Real Pros team.